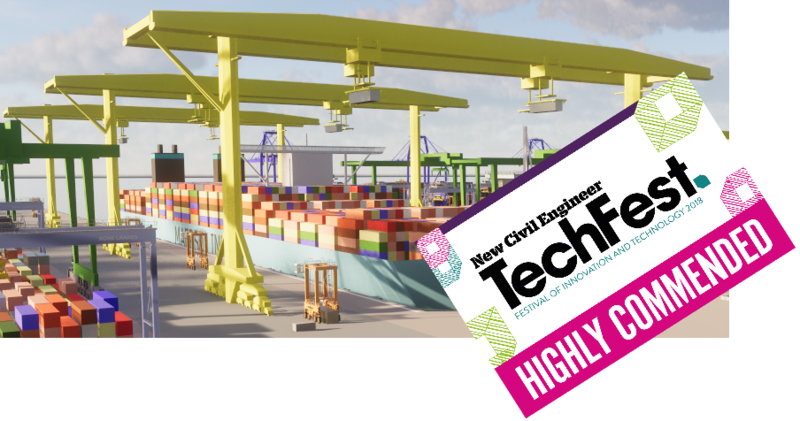 This paper picks up from earlier research (Beckett Rankine, 2015) and considers a new port layout that will enable faster loading and unloading of containers at the quayside, particularly for the new largest container vessels. 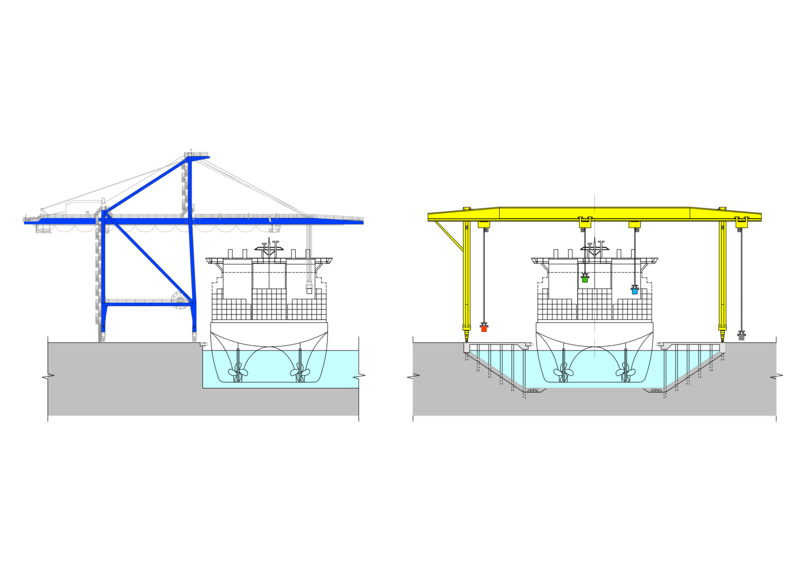 The COFASTRANS (Container Vessel Fast Transhipment System) concept is novel and yet practical, using indented berths with innovative ship-to-shore overhead portal cranes. The efficiency of COFASTRANS is built from adaptation of the latest container handling techniques combined with large crane technology from the shipbuilding industry as well as vessel navigation in confined waters, such as seen at the Panama Canal. 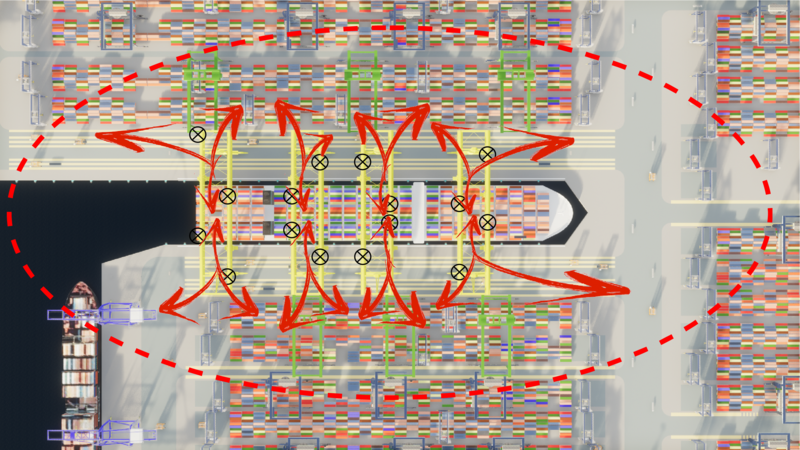 We started looking at the indented berth concept about 20 years ago with the objective of reducing congestion at the quayside for the largest container vessels by splitting the cargo in half with transferring of containers over both sides of the vessels. Our recent work has updated the system for use with the latest cargo handling systems and the ships that are now even bigger at 22,000 TEUs and even more. With more hooks over the ship, considerably greater productivity can be achieved and with intense activity focused on the ship at the centre of the system, a smooth flow of containers can be achieved within the near-berth stacking areas. It was interesting to visit the Panama Canal to see how large ships enter the locks which are very similar in their form to the indented berth layout with a quayside on each side of the vessel. 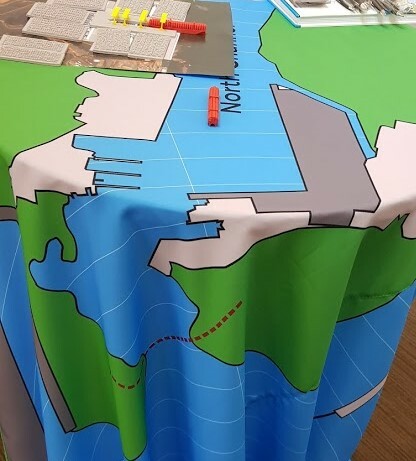 Discussions with the navigation specialists explained how various problems have been overcome in the design and implementation of the new larger lock entrances. The innovative new portal crane, designed and patented by Mr Nevsimal, has twin booms that will be aligned over two rows of non-adjacent containers on the ship. With two trolleys on each boom, four hooks are therefore positioned over the ship, potentially doubling the available capacity. The overall size of this crane is similar to the conventional cantilever cranes that are currently used for handling the largest container ships, although slightly heavier because of its two booms. Time is also saved with the trolley travel distance cut in half, as containers are transferred to and from the shore and the nearest side of the vessel. The Beckett Rankine stand at the PIANC2018 World Congress was a busy place with over 500 delegates in attendance. It was good to greet Ariel Perez and Monica Webb from the Department for International Trade at the British Embassy in Panama City who came to see the COFASTRANS display of images and models. 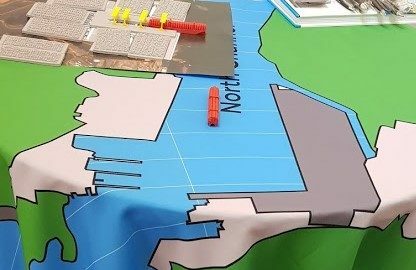 Several visitors had a close inspection of the models with the opportunity to discuss and make plans for possible developments at various ports. 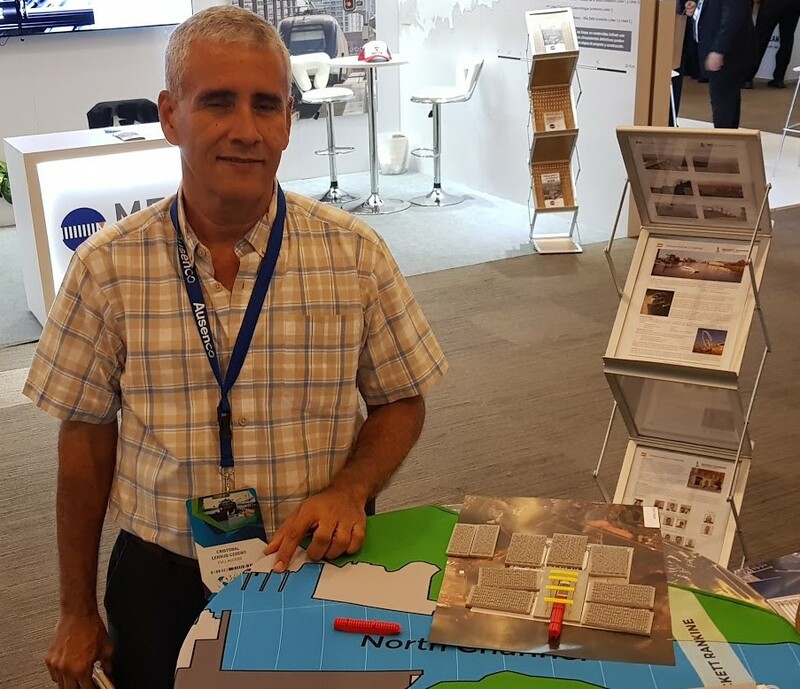 Here Cristóbal Cerrud Cedeño of the Panama Canal Authority discusses some ideas for installing a new COFASTRANS berth. For more details, the COFASTRANS (Container Vessel Fast Transhipment System) by G Rankine, I Netherstreet, D Perez Romero, J Palmer can be downloaded here.